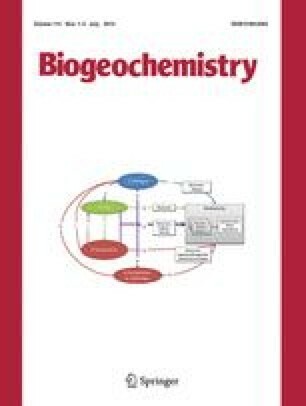 The interactions between the biotic processes of reproduction, growth, and death and the abiotic processes which regulate temperature and water availability, and the interplay between the biotic and abiotic processes regulating N and light availabilities are important in the dynamics of forest ecosystems. We have developed a computer simulation that assembles a model ecosystem which links these biotic and abiotic interactions through equations that predict decomposition processes, actual evapo-transpiration, soil water balance, nutrient uptake, growth of trees, and light penetration through the canopy. The equations and parameters are derived directly from field studies and observations of forests in eastern North America, resulting in a model that can make accurate quantitative predictions of biomass accumulation, N availability, soil humus development and net primary production.